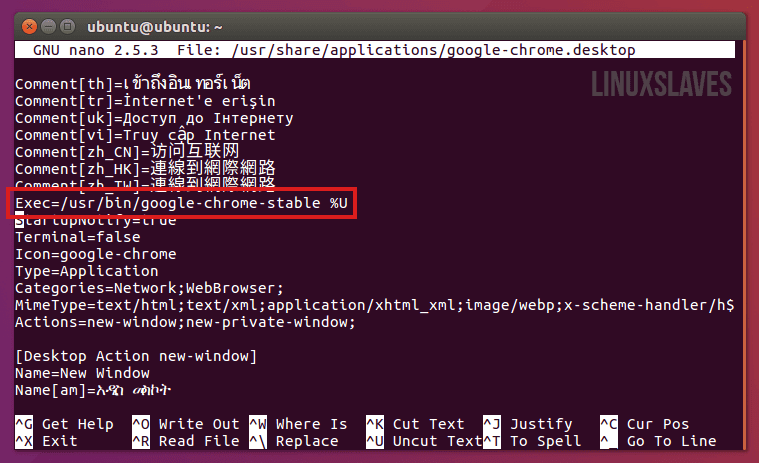 Linuxslaves.com - Well, I have a Google Chrome on Ubuntu 14.04 and 16.04. It has really annoying screen flicker while running with Intel-based integrated video on certain websites like YouTube, Google Maps, Twitch, Facebook, etc. 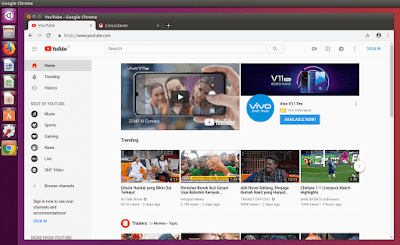 Glad, I found a solution to fix Google Chrome flicker issue in Ubuntu desktop Trusty Tahr and Xenial Xerus after some research. It is working for me now. It fixed the issue, but the browser will be much slower. Ah ya, you may encounter scrolling lag, screen tearing, and etc. If the above steps didn't work for you, then go and try the second solution. You can change "nano" with your preferred text editor for Linux e.g Gedit, Vim, and so on. Press Ctrl+O to write out > Enter to save the changes > and Ctrl+X to close the editor. Note : You'll have to repeat the steps above each time you upgrade Chrome. Save the configuration by pressing Ctrl+O to write out > Enter to save the changes > and Ctrl+X to close the editor. 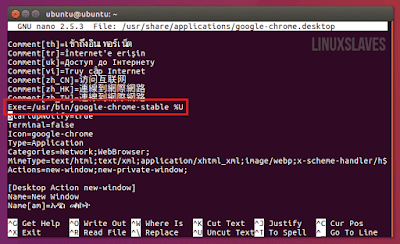 Hope that help for those who looking to fix Annoying flickering Chrome in Ubuntu Linux. Thanks for reading!.